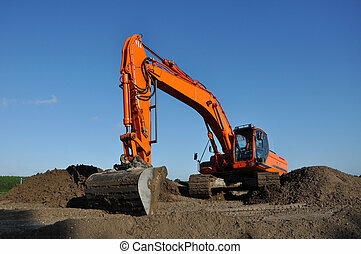 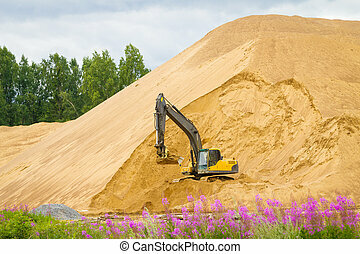 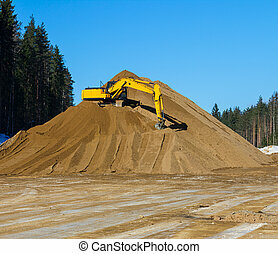 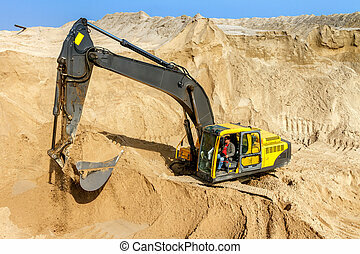 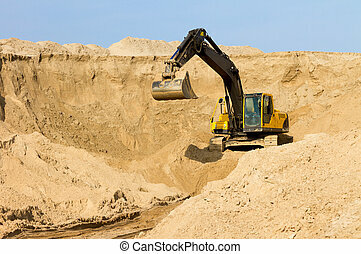 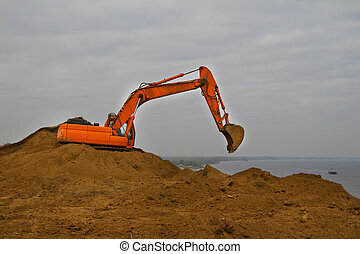 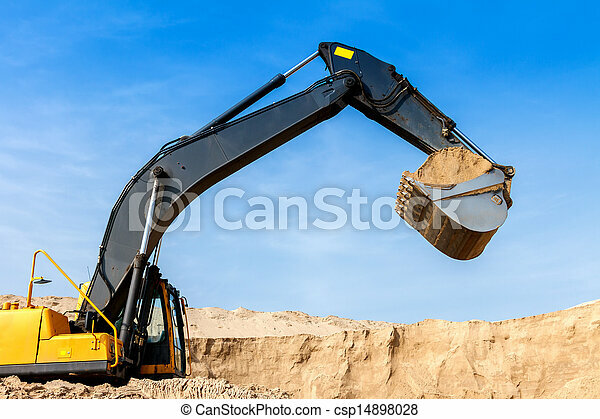 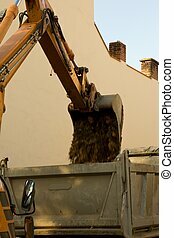 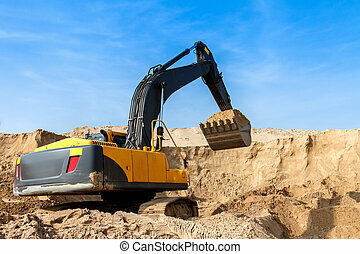 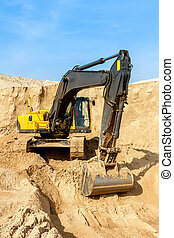 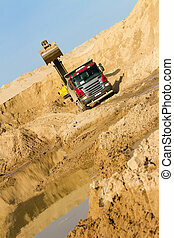 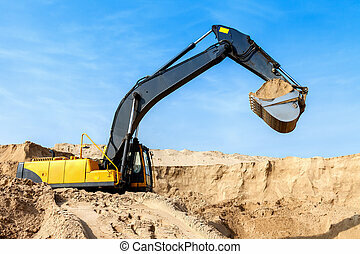 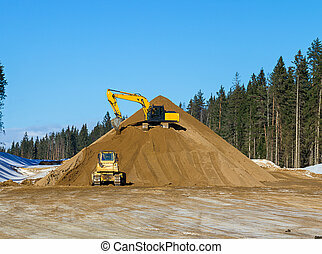 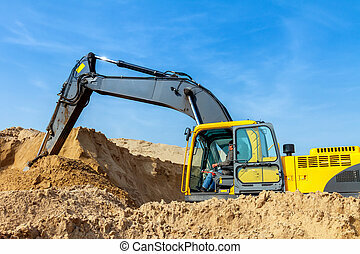 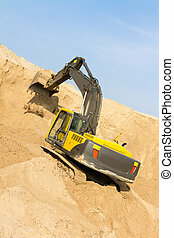 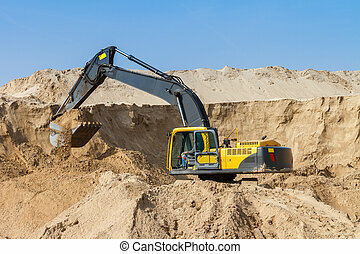 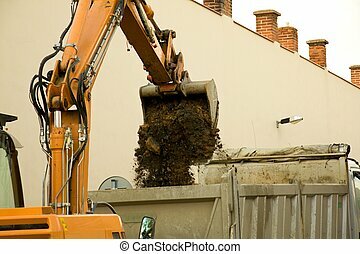 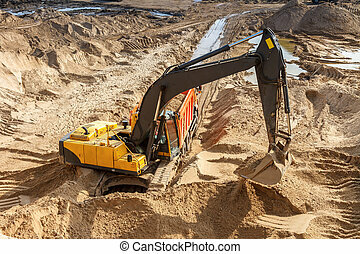 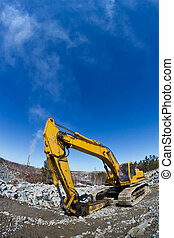 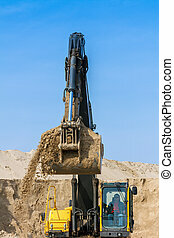 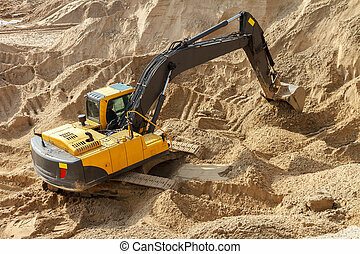 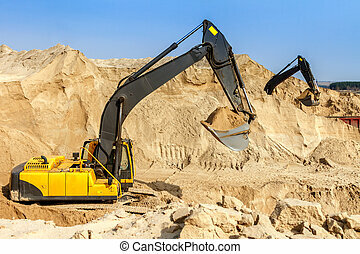 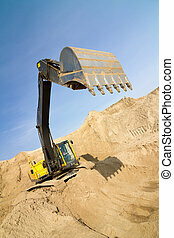 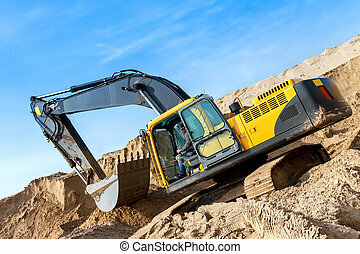 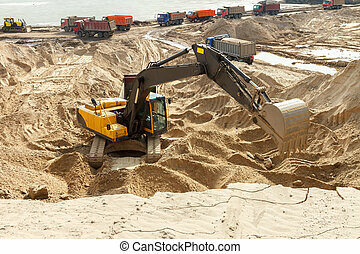 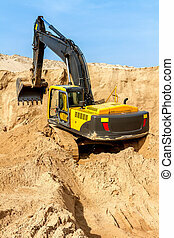 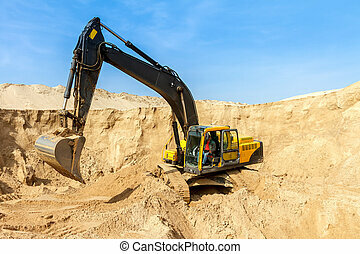 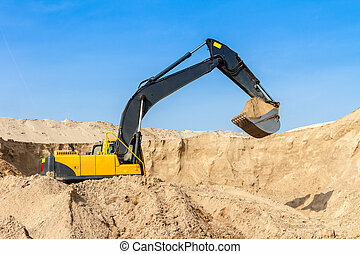 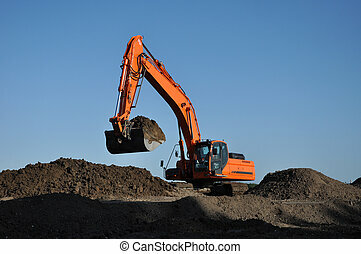 Excavator at work. 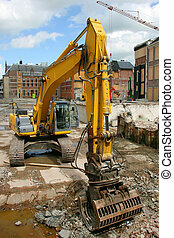 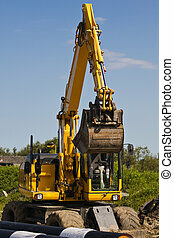 Yellow excavator work at construction site. 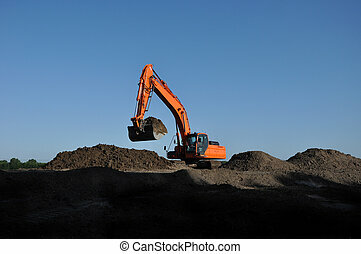 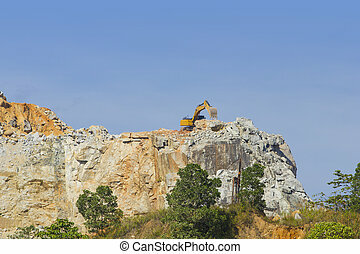 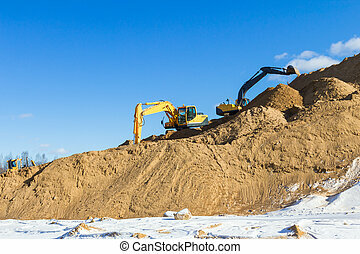 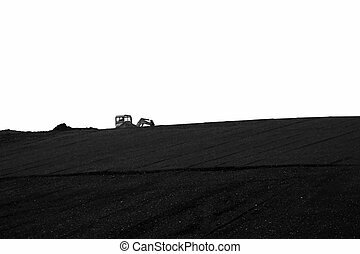 The black and white photograph of an excavator at work on a hill.